Are you ready to stop living with the challenges of missing teeth? If traditional tooth replacement options have not given you the results you want, dental implants in Jacksonville could be the solution for you. You will make a true investment in your quality of life and your oral health because they are the next best thing to your natural teeth. Although you have heard about their benefits, you are not ready to schedule an appointment because their cost concerns you. There is no need to worry. There are various factors influencing the amount you will pay. Not to mention, there are many ways to make your new smile affordable. Number of Teeth: A single-unit implant is cheaper than an entire arch, but it is more affordable to treat several teeth with an implant-supported bridge or denture than replacing each one individually. X-rays and CT Scan: X-rays and a CT scan are needed to evaluate your oral structures and to create a treatment plan. Additional Procedures: It is not uncommon to need additional procedures before we place your posts, like bone grafting, tooth extractions, or a sinus lift. Materials: There are discounted materials available; however, they are often low-quality, which could compromise the long-term success of the procedure. Front Teeth: Generally, it is more expensive to replace the front teeth than the back due to complex aesthetics considerations. Anesthesia and Sedation: Sedation or anesthesia are used to ensure your comfort during the procedure. Dental implants cost more upfront than conventional treatments, like a bridge or denture, but they are more affordable long-term. With a success rate of over 95%, they will never need to be replaced with the right aftercare. 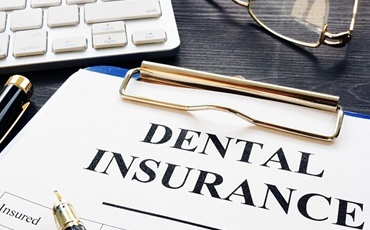 To keep your new smile affordable, your dental insurance may help to lower the cost. Although it will not pay for the treatment in full, it may pay for certain aspects depending on your policy, like the restorations, imaging, or tooth extractions. To cover any remaining balance, we accept third-party financing with CareCredit. Based on your credit’s approval, you are given a line of funds to pay for the treatment. You then repay the balance using a payment schedule that accommodates your budget. 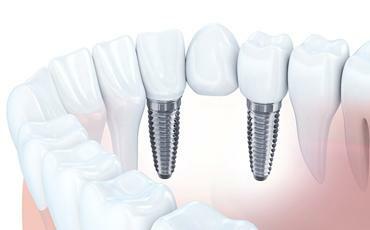 Do not let the cost of dental implants deter you from replacing your missing teeth. Your endodontist in Jacksonville provides you with a tailored estimate and discusses your payment options to give you the complete smile you deserve. Contact the Dental Center of Jacksonville today to see if dental implants are the right solution for you.